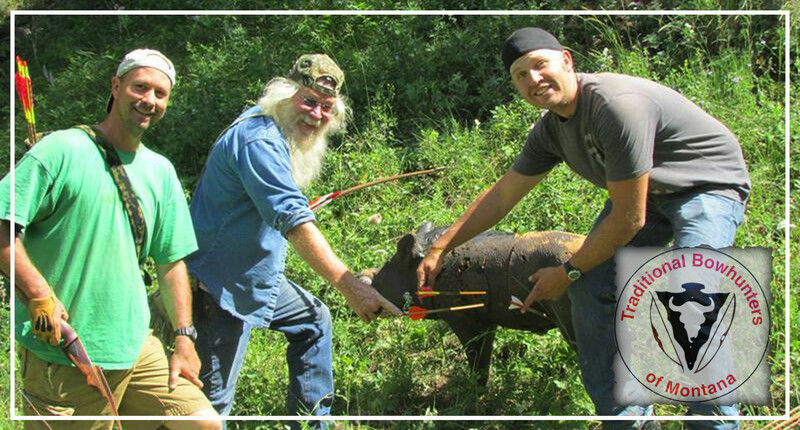 Come join the Traditional Bowhunters of Montana for the 2018 annual archery 3D shoot and camping weekend. It’s a great time for everyone of all skill levels whether you’re new to the sport and wanting to start, or very experienced. This is one of the most laid back friendly groups out there and a great weekend for the whole family. The campground is reserved by the TBM and plenty of sites available for tents, wall tents, campers, motor homes etc. The 3D archery course is set up bordering the campground. Walk and shoot the course as many or little times as you want at your own pace through the weekend. Traditional archery equipment only. Folks start trickling in and hanging out Thursday evening. Friday morning members begin setting up 3D targets on the shooting course. Archery course begins as soon as set up is completed Friday afternoon/ evening majority of members show up and start setting up camp. Then relaxed evening visiting old friends and making new friends through camp. Saturday morning 3D course resumes at daylight 4pm bi-annual membership meeting at camp center – all members welcome. Conclusion of meeting followed by TBM group dinner at main wall tent. Main course supplied by TBM and a side dish or desert provided by each family is appreciated. Sometime after dinner is over the annual tradition with the group log shoot begins -great time for everyone! After dark the TBM group/family bonfire starts and goes on till????? Sunday afternoon members disassemble and clean up the 3D course, then we all start looking forward to next year!